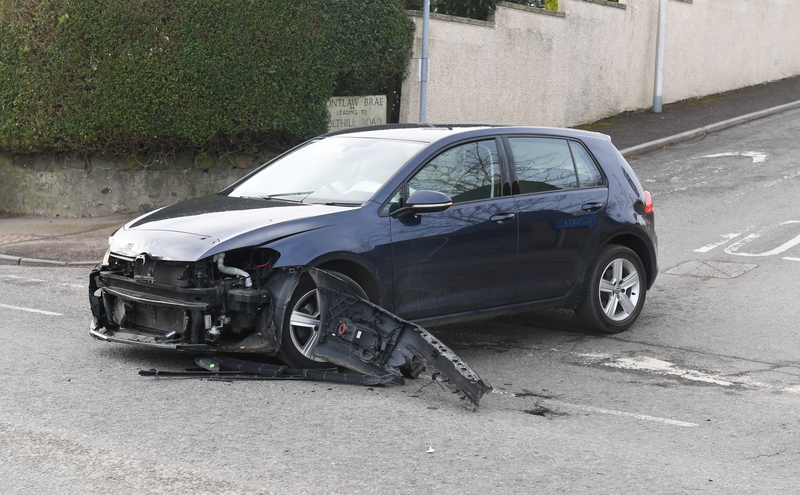 The incident involving a Volkswagen Golf and a blue Ford Focus took place at the Contlaw Brae junction on North Deeside Road, in Milltimber, around 3.15pm this afternoon. Police have confirmed there have been no injuries to the drivers involved. One of the vehicles remains on the road and is causing traffic delays as a result. Picture from the collision on the North Deeside Road. A police spokesman said: “We were called to Contlaw Brae at 3.17pm.